Our range of products include relay logic control panels, drive control panels, hvac control panels, marine engine control panels, plc automation control panel and plc cards. 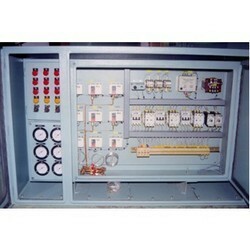 Our range of Relay Logic Control Panels is well known for smooth yet optimal performance and long life span. These panels are easy to install and requiring low maintenance. We make use of high quality basic components to fabricate these panels via advanced technology. Our range of Relay Logic Panels is widely utilized for instrumentation and flow control, leak detection and chemical feed applications. We are instrumental in offering a broad range of Drive Control Panels, which is acclaimed for flawless performance, superior quality, greater reliability and high utility. These panels are manufactured using high grade basic inputs that are sourced from the authentic vendors. 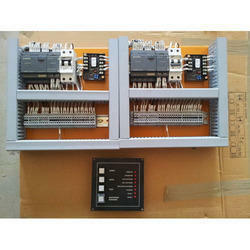 Further, these Drive Panels can be availed from us at the market leading prices. We are an expert manufacturer and supplier of highly effective HVAC Control Panels that are capable of giving higher output while consuming less power. Fabricated from quality basic components, these HVAC panels are blessed with the Bolted Construction that allows extension of the panel from both sides. We also offer customization facility for this range along with the affordable price tags. 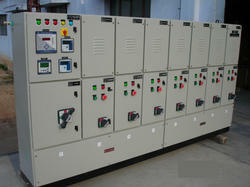 We offer quality and highly functional range of Marine Engine Control Panels to our clients. 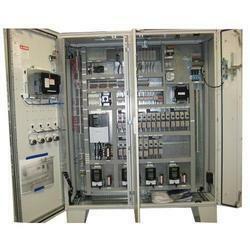 Our range of electrical Marine Engine Control Panel is known to improve power factor to increase energy efficiency. Available in various specifications, we also meet customized requirement for our clients benefit. We make PLC Automation Control Panel as per applications designed by us or as per customer design for a variety of power distribution requirement of the factories. Owing to their excellent performance and minimum maintenance, our products are widely demanded in various industries like chemical, cement plant, pharmaceuticals, textiles, construction, paper and others. Manufactured using high grade raw material that makes it sturdy and corrosion resistant. MCC Panels are fabricated in standard as well as customized sizes meeting all the diversified needs of our clients. 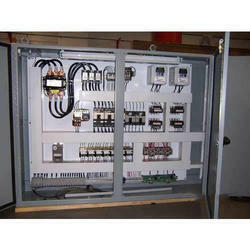 Our MCC panels are designed and manufactured in various IP standards. Since we have long in house manufacturing experience, the panels are built for long and reliable service. Procured to attain maximum consent and approval of patrons, we present patrons with the best quality of PLC Cards. Procured from trusted source, these PLC cards are used in process control industry. Available with us in various technical specifications. 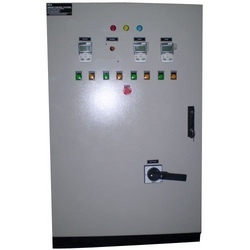 We make MCC Panels as per applications designed by us or as per customer design for a variety of power distribution requirement of the factories. Owing to their excellent performance and minimum maintenance, our products are widely demanded in various industries like chemical, cement plant, pharmaceuticals, textiles, construction, paper and others.